Toddler sleep regression wasn't something I'd heard of until last night, out of frustration I googled it and discovered this website. What it said described Ava perfectly. I feel relieved that this is actually a "thing" and not just down to bad behaviour or something. What the website explained is that Ava is currently asserting her independence and is testing the boundaries. She's letting us know what she does & doesn't want to do, napping being on the less favourable list. She is looked after by a variety of people whilst I work part time during the week. Nursery, Nath's mum and my auntie and they all struggle to get her to nap during the day. The trouble is, without a nap she falls asleep at 4.00pm when I pick her up causing havoc at bedtime. The last few nights bedtime has been almost 10.00pm! Not ideal as you can imagine. We've now told everyone that she MUST nap between 12.00pm & 2.00pm. We're hoping that this will solve our problem. Also Ava seems to have gone backwards with her potty training. She was practically dry. I'd say she was about 95% potty trained, save a couple of rare accidents here & there when she was playing and would forget. When Nath and I got married last Friday we didn't want to risk her wetting herself in church and as it was going to be a very busy day we decided to put her in pull-ups. The thought of chasing her around with a potty all day or her soiling her gorgeous dress would have been far too stressful! She was then having a number of accidents during the day which became so stressful for us both. Today she's had one accident so I'm hope that she's starting to get back on track. 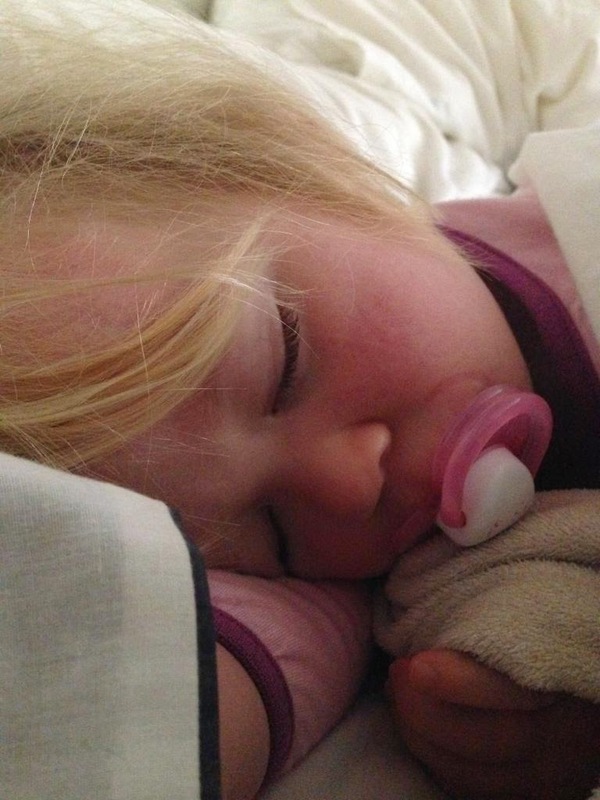 Is toddler sleep regression or going backwards with potty training something you've experienced?